All ‘poems’ were written by the cellist except tracks 1 and 8 which are Free Improv This imposing collection of solo pieces captures the cellist’s discrete voice on her instrument, her long exposure to classical music and her will to digress are both clearly audible in her abstractions which are dynamic, diverse and brilliant. Her ability and technique on the cello echo the qualities and virtues of artists such as Dave Holland and Abdul Wadid: her ‘poems’ are full of experimental probings and ecstatic solutions, with elements that may be transitory yet profound. Elisabeth Coudoux studied cello in Dresden and Cologne, at the latter studying jazz cello with Free Improv saxophonist Frank Gratkowski. Much of her work today is improvisational and Free Improv is her principal passion. She plays with a number of orchestras and small groups such as The Octopus: a review of their album Subzo[o]ne follows. 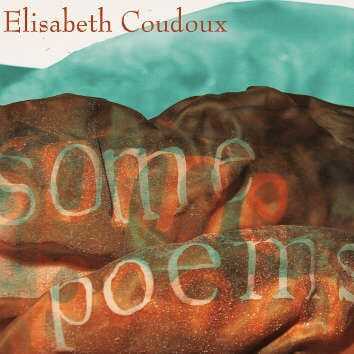 Some Poems is a very fine album, especially for a first solo recording by an artist. It is full of warmth of expression, it is mesmerising and simply superb.